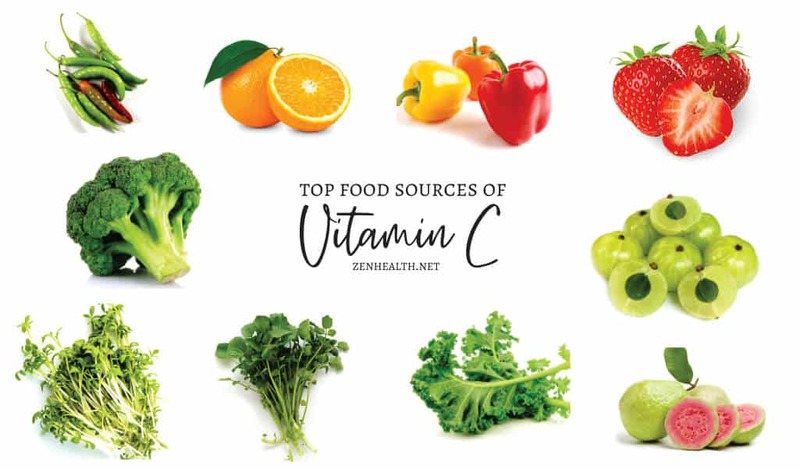 Here’s a great list of the top food sources of Vitamin C. I guarantee some foods on this list will surprise you (parsley is #10!). Vitamin C is important. It helps with your immune system, acts as an antioxidant, and repairs tissue. But global health organizations don’t agree on how much Vitamin C you should have per day. The recommendation can range from 40 mg to 95 mg for women and 40 mg to 110 mg for men. The lower limit comes from the India National Institute of Nutrition and the upper limit from the European Food Safety Authority. There is also no consensus on the maximum tolerable level. The U.S. National Academy of Sciences found taking 3,000 mg of Vitamin C per day may cause diarrhea and gastrointestinal problems. But European and Japanese health agencies disagree. So it’s up to you to decide how much you need. With all that in mind, here are some great sources of Vitamin C to add to your diet. Note, the amount of Vitamin C in 100 g of these sources are taken from the USDA Food Composition Database: Nutrient List (unless otherwise stated). The given values are an average and not meant to represent an exact value. I’ve never heard of these plums before. But they are worth getting to know! 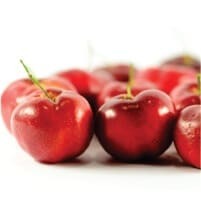 100 g of the plums will give you anywhere from 1,000 mg to 5,300 mg of the vitamin. That makes them one of the richest food sources of Vitamin C.
To put that in perspective, 100 grams of kakadu plums has anywhere from 20 to 100 times more Vitamin C than a large orange! 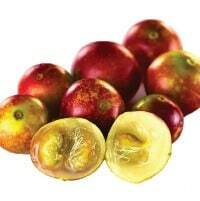 Camu camu is another new one to me. 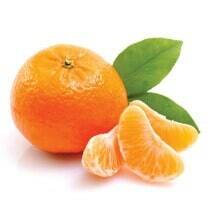 100 grams has 1,882 to 2,280 mg of Vitamin C. That makes it the second richest natural source of the vitamin. But that’s not all the fruit is good for. It’s loaded with other important antioxidants like anthocyanins, flavonols, and catechins. I had an acerola tree as a kid. We call it West Indian cherry. The fruits are tiny, tangy and delicious. I have such great memories of that tree; but I never imagined 100 grams of them has 1,667 mg of Vitamin C! That’s about 18 times the European recommended daily intake for women (95 mg). 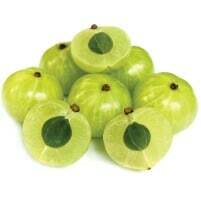 I never heard of Indian gooseberry before. The US database doesn’t have a record for it either. That could be because they are mainly found in Asian countries. 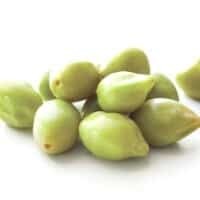 There, they are called amla. Although the database doesn’t have a record, I found this 2004 study that showed 100mL of the juice has 478 mg of Vitamin C.
That’s 10 times the vitamin level in pineapple! Could you believe hot chili peppers are #5 on this list? These are from my garden. 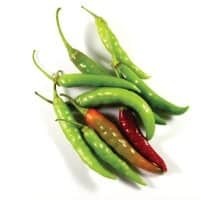 100 grams of green…not red…hot chili peppers will give you 242 mg of Vitamin C.
Red hot chili peppers has 144 mg.
Chili peppers also have high levels of Vitamin A, Vitamin B6 and antioxidants like capsaicin. 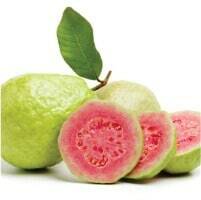 Guava is one of my mom’s favorite fruits. She gathers a whole bunch, squeezes them and pours the juice into ice trays. The result: delicious guava cubes to add to any fruit drink or punch. Two guavas or 100 grams will give 228 mg of Vitamin C.
Guavas are also good sources of lycopene. Another pepper makes the cut! This time it’s sweet peppers (aka bell peppers or capsicums). 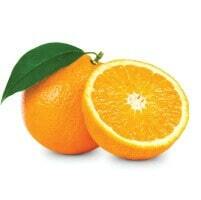 Their colors play a role in the amount of Vitamin C they contain. 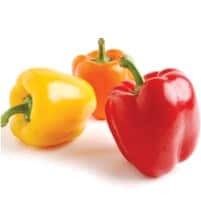 For instance, raw yellow bell peppers have 183 mg of the vitamin per 100 grams. Raw red ones have 127 mg and the common green sweet peppers have 80 mg.
Sweet peppers also have moderate levels of Vitamin B6. I grew up drinking blackcurrant juice. It was tart but tasted great. Blackcurrant jam is also delicious! 100 grams of fresh blackcurrants has 181 mg of vitamin C.
That’s double your daily requirement. You can also find moderate levels of iron and manganese in the currents. Surprise! Thyme is the first herb on this list. Would you believe 100 grams of fresh thyme has 160 mg of the vitamin? It’s true! 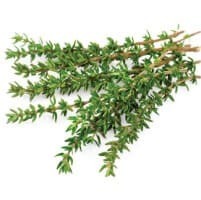 But, according to WebMD, thyme is a blood thinner and can interact with other blood thinning medications like aspirin, ibuprofen, and warfarin. So use the herb with some caution if you are on any of these medications. Garnish with fresh parsley. Add it to your Caribbean green seasoning. Every time you do, you are adding Vitamin C to your meal! 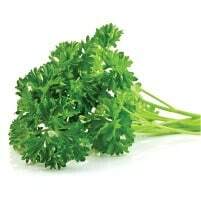 100 mg of fresh parsley has 133 mg of the vitamin. Parsley is also rich in Vitamin A (53% your daily requirement), Vitamin B9 (38%), Vitamin K (1562%), iron (48%), magnesium (14%), calcium (14%) and potassium (12%). Why isn’t parsley on every ‘superfood’ list? I am not a fan of raw mustard spinach. It tastes like raw cabbage. But 100 grams has 130 mg of Vitamin C. So that’s good. 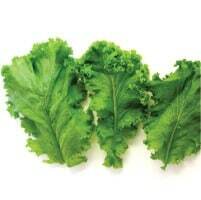 Raw mustard spinach also has great levels of Vitamin A (62%), Vitamin B9 (40%), calcium (21%) and manganese (19%). Cooking mustard spinach will reduce the vitamin levels by half. Still, that will be more Vitamin C than a large orange. Another pepper made the cut! But unlike chili and bell peppers, jalapeños are quite spicy. 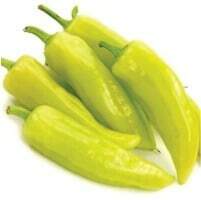 They are rated 3,500 to 8,000 (Scoville Heat Units); compared to 1,500 for green chili peppers. 100 grams of jalapeños has 119 mg of the vitamin. That’s more than the recommended daily value. 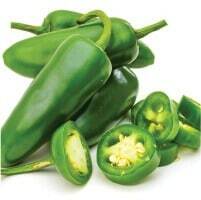 Jalapeño peppers are also rich in Vitamin B6 and Vitamin E. There are also moderate levels of Vitamin K too. The obsession with kale has been ongoing for some time. There’s everything from kale salad to baked chips. 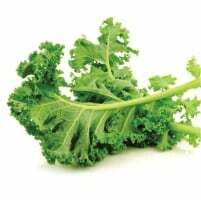 So you may know kale has a lot of Vitamin C.
100 grams of raw kale has 93 mg of the vitamin. That’s the amount of Vitamin C recommended by the European Food Safety Authority. Did you know kiwi fruits are originally from China? They were called Chinese gooseberries. Yep kiwi fruits are really berries! They sorta resemble the lovable kiwi birds of New Zealand; so they were renamed to avoid berry taxes many decades ago. 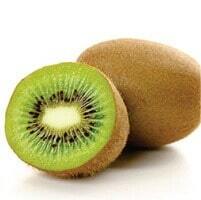 100 grams of kiwis has the same amount of Vitamin C as kale (93 mg). Green foods sure rule on this list! Speaking of green foods, broccoli made the cut! 100 grams of raw broccoli has 89 mg of Vitamin C.
That’s close to the US recommendation of Vitamin C for adult men (90mg). 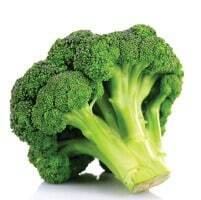 Raw broccoli is also rich in Vitamin K (97% daily value) and has moderate levels of Vitamins B2, B5, B6 and B9. 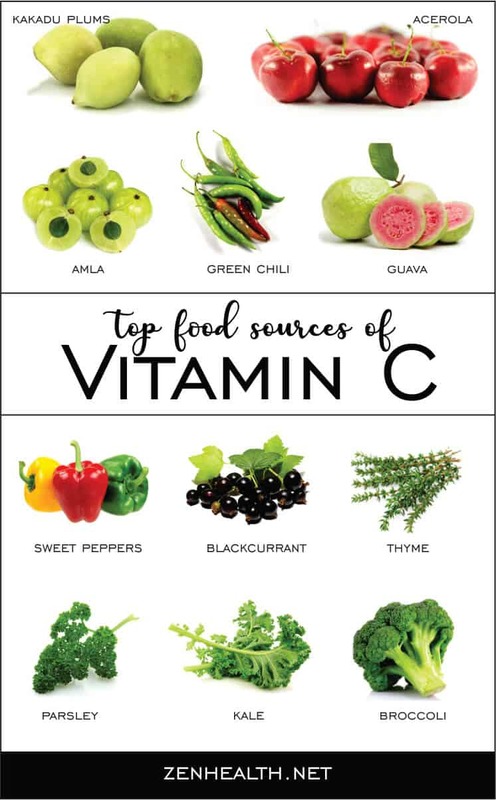 There are even more green foods on this sources of Vitamin C list! Now, it’s dill! I use this herb often in my seafood dishes; its bitter, lemony flavor just works. 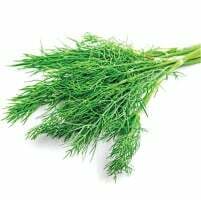 Dill has 85 mg of Vitamin C per 100 grams. 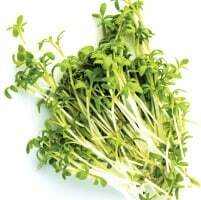 The herb is also rich in Vitamins B2 (25%) and B9 (38%), iron (51%), manganese (62%) and calcium (21%). All that in one little herb! I am not familiar with longans at all. Supposedly, they are tiny, sweet, watery fruits that are similar to lychees. Longans are sometimes called euphoria fruits and dragon eyes. Imagine walking into an Asian market and asking for dragon eyes! Won’t that be fun? 100 grams of the fruit has 84 mg of Vitamin C.
A couple years ago, I had a mystery pepper tree. Hubby and I had no idea where it came from; we didn’t plant it. It just grew on its own. Turns out, it was a banana pepper plant. The peppers were a happy surprise. They tasted like sweet peppers; but still had a very mild peppery flavor. They were perfect! The peppers have83 mg of Vitamin C per 100 grams. 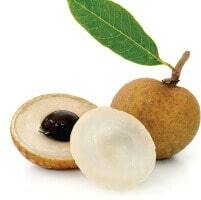 Lychees are longan’s cousin. They also have less Vitamin C too. 100 grams of lychees have 72 mg of the vitamin. 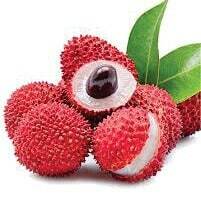 Note, lychees must be eaten in moderation. The seeds are toxic. And a 2013 US CDC investigation in India linked eating unripe lychees to a type of brain disorder (called non-inflammatory encephalopathy). Yikes! I am no fan of raw mustard greens. But they are really good for you. 100 grams of mustard greens has 70 mg of Vitamin C.
100 grams can also provide protein, dietary fiber, Vitamin A (101%), Vitamin K (215%), manganese (21%), iron (20%), copper (18%), and Vitamin B6 (14%). Garden cress is another green source of Vitamin C.
100 grams has 69 mg of Vitamin C.
You can get a high dose of Vitamin K (516%) and moderate levels of Vitamin A, Vitamins B2, B6, and B9, and manganese. I’ve never had a persimmon before. It’s a type of berry – believe it or not – and are sometimes called the divine fruit. Some say it tastes like apricots and has a pudding texture when ripe. 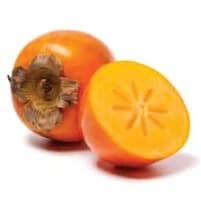 100 grams of persimmons has 66 mg of Vitamin C.
It also has moderate levels of iron. This one is also new for me. 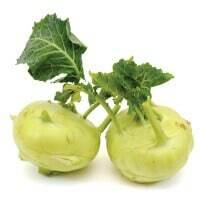 Kohlrabi isn’t actually a turnip. It’s more related to cabbage, broccoli, cauliflower, Brussels sprouts and kale. 100 grams of kohlrabi has 62 mg of Vitamin C.
Growing up, I had a couple pomelo trees; but we call it shaddock in the Caribbean. Pomelos are large; much like a grapefruit, but they aren’t as sour. 100 grams has 61 mg of Vitamin C.
But a typical pomelo weighs 600 grams. So one pomelo can have a Vitamin C content of 370 mg. Many years ago, I had dengue fever (a mosquito-borne disease that affects the blood, and causes high fever and body pains). My mom ground papaya leaves to extract its juice and made me drink it. It tasted terrible. Absolutely terrible! But it helped so much. 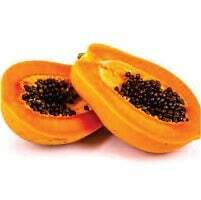 The papaya fruit is also good for you. It has 61 mg of Vitamin C per 100 grams. It also has moderate levels of Vitamin B9. I love strawberries! They are just delicious. Much like strawberry ice cream or strawberry jam or strawberry anything! Did you know they are not technically a berry? Shocking right? They are what’s called accessory fruits. 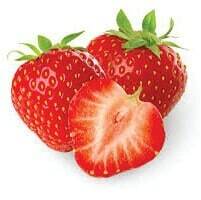 100 grams of strawberries has 59 mg of Vitamin C.
It also has moderate levels of manganese. 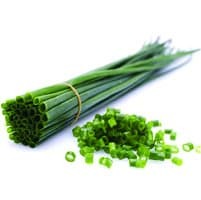 Chives have this wonderful, oniony flavor that goes so well in anything and everything savory. It works perfectly in Caribbean green seasoning and Caribbean cuisine in general. 100 grams of chive has 58 mg of Vitamin C.
It also has good levels of Vitamin A, Vitamin B9, Vitamin K (203%), manganese, iron and magnesium. Raw red cabbage gives that great pop of color in salads and coleslaw. And it adds such a wonderful crunchy bite. 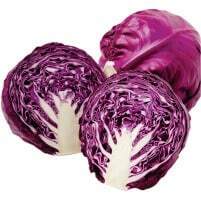 It’s good to see that 100 grams of delicious raw red cabbage has 57 mg of Vitamin C.
Red cabbage also has good levels of Vitamin K and important phytochemicals (which cause its color). In my mind, Vitamin C is synonymous with oranges. So it is strange to me the fruit is #29 on this list of top food sources of Vitamin C.
I can’t believe sweet peppers, kale and broccoli are higher! 100 grams of oranges has 53 mg of Vitamin C. But 1 large orange (184 grams) can have a Vitamin C content of 98 mg.
That’s more than the European recommendation for women (95 mg). It’s also a surprise that lemon is in the middle of this list. 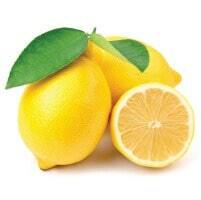 100 grams of lemon has roughly the same Vitamin C as oranges (53 mg). But lemons are smaller than oranges. Lemons range in weight from 58 grams to 84 grams. So one fruit can give you anywhere from 31 mg to 45 mg of Vitamin C.
Moringa (also called drumstick) has recently catapulted into the ‘superfood’ category. That’s because the plant is loaded with many essential vitamins and minerals. 100 grams of moringa leaves has 52 mg of Vitamin C.
100 grams also provides good doses of Vitamin A, Vitamins B1, B2 (55%), B3, B6 (92%), and B9, iron (31%), magnesium (41%), calcium, manganese and phosphorus. 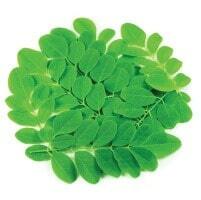 That is why moringa has traditionally been used to combat malnutrition. But using too much moringa is not recommended either! For some reason, clementines are called portugals in the Caribbean. No idea why! They are sweet, juicy, and delicious. 100 grams of clementines has 49 mg of Vitamin C.
But a recent study (2017) did find clementine juice has the potential for drug-interactions, much like grapefruit juice (see #39). That’s why eating in moderation is key. 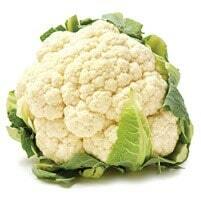 Kale, broccoli, and cabbage are cousins of cauliflower. So it should come as no surprise that the raw vegetable also has good levels of Vitamin C.
100 grams has 48 mg of Vitamin C.
It also has moderate levels of Vitamin B5, Vitamin B6, Vitamin B9, and Vitamin K.
I’ve tried growing pineapple a couple times. Unsuccessfully, I might add. The plants never seem to grow. I think it’s the soil… and not my green-ish thumb. Heh! 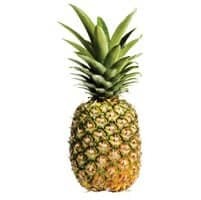 Anyway, 100 grams of pineapple has 48 mg of Vitamin C.
The fruit is also rich in manganese (44%) and bromelain (which is a mixture of enzymes that is great for tenderizing meat). 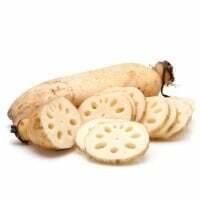 Lotus root has been used for thousands of years in Ayurvedic and Chinese traditional medicine. 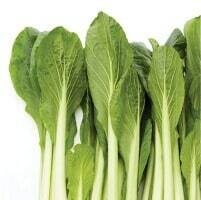 Today, it’s widely used in Asian cuisine; in soups, salads and even teas. 100 grams of lotus root has 44 mg of Vitamin C. The root also has moderate levels of Vitamin B1, Vitamin B6, manganese, and phosphorous. 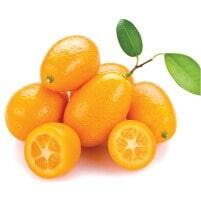 Kumquats are wonderful citrus fruits. While they look stretched and elongated, they are really the size of cherry tomatoes. They’re adorable and delicious! You can eat the peel; which is sweeter than the insides. Kumquats really are strange little fruits – they’re more like inside-out oranges. 100 grams of kumquats has 44 mg of Vitamin C.
Watercress is one of the best low calorie foods you can have. 100 grams will supply you with 11 calories. That’s it! 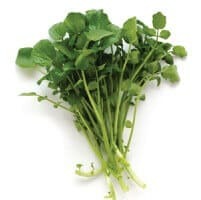 100 grams of raw watercress also has 43 mg of Vitamin C.
That’s not all. Watercress provides substantial levels of Vitamin K (238%); and moderate levels of Vitamin A, Vitamin B2, Vitamin B6, calcium and manganese. 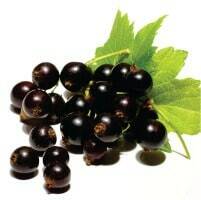 European blackcurrants are already on this list of sources of Vitamin C. They’re high up too at #9. 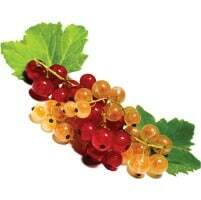 Red and white currants also have good levels of the vitamin. 100 grams of either red or white currants contain 41 mg of Vitamin C.
They also have moderate levels of Vitamin K, iron and manganese. I have a pink grapefruit tree in my yard; it has tiny little fruits at the moment. That means I’ll have juicy, not as sour as you think pink grapefruits six months from now. Yay! 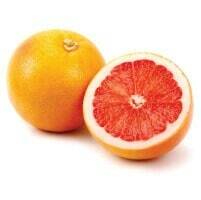 Pink grapefruit has 38 mg of Vitamin C per 100 grams. It also has the antioxidant, lycopene, which gives the grapefruit its color. Take care when having grapefruit. It interacts with many drugs (like blood thinners) and this can cause serious adverse side effects. On the other hand, grapefruit has been shown to help with weight loss! Cantaloupe is a wonderful, non-acidic fruit that’s great in juices and salads. Picture it now: a tropical fruit salad with cantaloupe, pineapple, and mango. Yum! 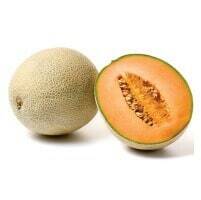 Cantaloupe has good Vitamin C levels. 100 grams of cantaloupe has 37 mg of the vitamin. The fruit also has moderate levels of Vitamin A as well. Believe it or not, raw cabbage has the same level of Vitamin C as cantaloupe, per 100 grams. These green foods sure are stars on this sources of Vitamin C list! 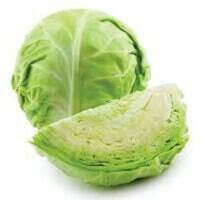 Cabbage also has high levels of Vitamin K (72%), and moderate levels of Vitamin B6, Vitamin B9, and manganese. Remember too, red cabbage is #28. Mulberry leaves are the only source of food for the silkworm. So without mulberries, there will be no silk. That’s a random, fun fact! 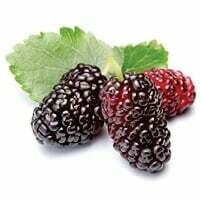 100 grams of the berries has 36 mg of Vitamin C.
Mulberries also have anthocyanins and moderate levels of iron and Vitamin B2. 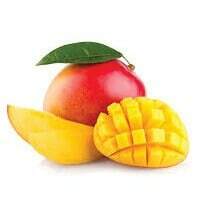 Mangoes have been cultivated and eaten for thousands of years; and are among the most popular fruits in the world. That’s not surprising, considering how tasty and versatile the fruits are. Unripe (green) mangoes make delicious chutneys and pickles. And ripe mangoes are sweet and juicy straight off the tree. They’re also good in juices and even ice cream. 100 grams of raw, ripe mangoes has 36 mg of Vitamin C.
Sugar apple is creamy, custardy, sweet and delicious. 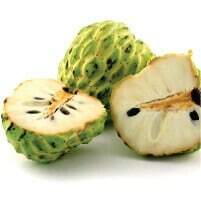 It is actually the sweeter cousin of soursop and sometimes called sweetsop! Be sure to check out my soursop juice recipe (*coming soon*). 100 grams of sugar apple has 36 mg of Vitamin C in it. The fruit also has decent levels of Vitamin B1, B2, B6 and manganese. Carambola has a couple names. It’s sometimes called starfruit; and, in the Caribbean, we call it five fingers. It has a citrusy flavor but is not as sour as lime or lemon. 100 grams of carambola has 34 mg of Vitamin C.
But be cautious with carambola. It has neurotoxins like caramboxin. In healthy persons, these toxins are easily removed by the kidneys. 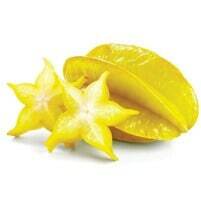 But in persons with kidney problems, consuming carambola can cause hiccups, nausea, confusion and even death. Learn more from the National Kidney Foundation. Zucchini noodles or zoodles are a favorite in my home. Everyone loves it lightly stir-fried with coconut oil, veggies and tomatoes. It’s quick, easy, and so very healthy. Plus it’s a great, low-carb alternative to rice and pasta. 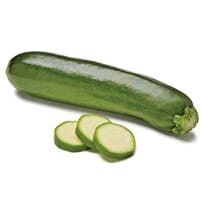 100 grams of raw zucchini has 34 mg of Vitamin C.
That’s great news! And zucchinis have useful levels of Vitamin B9 and potassium too. Young Swiss chard leaves taste great in salads and sides. They taste a bit like beet greens – sweet and a little earthy. 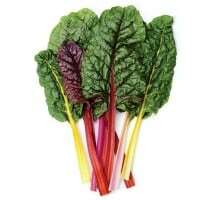 100 grams of raw Swiss chard leaves have 30 mg of Vitamin C. Cooking the leaves can reduce the vitamin C content by half. 100 grams of the raw leaves also have high levels of Vitamin K (775%); and moderate levels of Vitamin A, Vitamin E, iron, magnesium, manganese, potassium and sodium. Beet greens (or leaves) have this sweet, herbaceous, earthy taste. 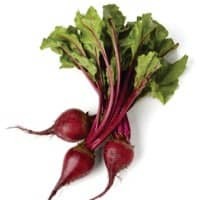 They aren’t as sweet as beet roots; but they do have a similar, though, milder taste. You can pick the leaves without harvesting the beet roots. So beets are a two-for-one food heh! 100 grams of beet greens has 30 mg of Vitamin C.
You can mix them with tender greens, kale or cabbage for a really nice side salad. Besides pink grapefruit, I also have a lime tree in my yard. 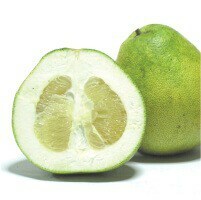 It’s actually a large seedless variety and produces limes as large as mandarins. Each one gives about a quarter cup of lime juice! Yum! 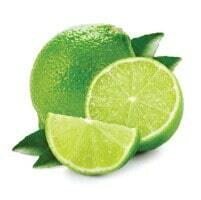 100 grams of limes has 29 mg of Vitamin C.
Be sure to keep lime juice off your hands and skin while in the sun. Wash your hands if there are spills. This is important since the juice can be phototoxic (meaning it can burn your skin when exposed to sunlight). Last, but not least, raw spinach! 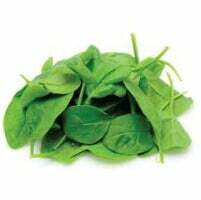 100 grams of raw spinach has 28 mg of Vitamin C.
Raw spinach has good levels of Vitamin A (59%), Vitamin B9 (49%), Vitamin K (460%), and manganese (43%). Moderate levels of Vitamins B2, B6, and E, and calcium, iron, magnesium and potassium have also been reported. Those are the top 50 food sources of Vitamin C. There are so many options.